Move over Rover, the trend in male dog names is becoming more sophisticated. Find plenty of suggestions for your furry fellow right here. You never know where you'll find great inspiration for boy dog names, but perhaps the following examples will turn up a name for your pet that you can gladly live with. Just make sure you pick something that rolls easily off the tongue. You're going to call this name for years, so make it easy on yourself. Now, you may run across a list from another source that is slightly different from this one, but you'll still likely find that people names predominate the collection. Perhaps one of the names from the table below will suit your next pet? Now if the names above don't have enough pizzazz for you, how about borrowing a name from a famous pop/rock star? Choosing a television character name for your dog might actually be a clever or funny idea. Here are a few to inspire you, but you'll surely be able to think of more. Why not borrow your favorite sports hero's name for your dog? Think of great names from the past as well as the present. 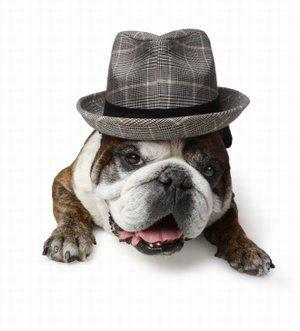 If you've spent a ton of money on a pedigreed pooch, you probably want to give him a name with a bit of class. Try some of these famous artists' names and see how well they trip off your tongue. If you're still having trouble naming your little angel, look to heaven for some inspiration. Although angels are technically thought to be androgynous, the following have always been portrayed as males. As you can see, there is really and endless supply of boy dog names. You just have to figure out which one best suits your dog's personality, and then try it out for a day or two. If it sticks, it's his; if it doesn't, try again. Sooner or later you're going to find just the right one.